GENERIC AVERAGE − This gives you an idea of what the average amount of sodium is in this particular food type and is calculated by averaging the sodium in all brands of this kind. Food types are listed from the least amount of sodium to the highest. LOW SODIUM BRANDS − This is an alphabetical list of brand-named products that are very low in sodium (35mg or less). 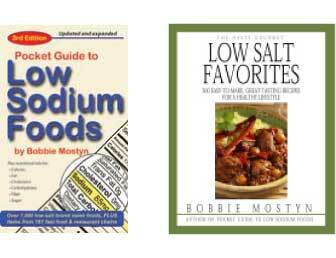 You can find additional low-sodium products with 140mg or less in the third edition of our newest book, Pocket Guide To Low Sodium Foods. Many low-salt baking and cooking products are available from our online store >. Most brands are within the generic average. *NOTE: Some seasoned rice brands have as much as 530mg sodium per tbsp.